It’s the penultimate episode of the series, and Doctor Who is still taking risks and playing with expectations, as usual meeting with fantastic results. Following last week’s apparent demise of Clara, the stakes are astronomical and yet, for almost the entirety of the running time of ‘Heaven Sent,’ the Doctor is the only character on screen, allowing Peter Capaldi to deliver another masterfully redefining performance as the titular Time Lord. Steven Moffat’s script for ‘Heaven Sent’ picks up after the events of ‘Face the Raven,’ the Doctor still very emotional and very angry as he is transported to a sinister castle-like environment. One of the biggest achievements here is just how much business is taken care of in a short period of time, setting the Doctor against relentless tests and seemingly insurmountable odds. There’s no real time travel component to this story to keep track of, but Moffat doesn’t take time to make sure everyone is caught up. He has a confidently straightforward vision with a lot to say and trusts that everyone viewing is on board and has faith in him to see it through to its conclusion. This is one of the most helpless and trying environments the Doctor has ever been in, and the dawning realization of the sheer magnitude of failed attempts he has made over such an incredibly long period of time in order to succeed is genuinely captivating and heartbreaking. This is a Doctor who failed to save Clara, and is now repeatedly failing again (the skulls are an immensely haunting visual reminder), and his simmering rage and determination is never far from the surface. With no companion to help temper his anger and an antagonist in the Veil that isn’t a straightforward enemy for him to defeat, the Doctor is in rarely-explored territory, and Capaldi proves that he is more than up to the challenge of portraying a new facet to his worn incarnation. 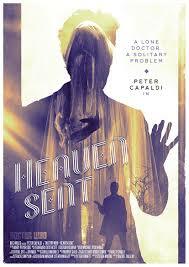 Crucially, though, ‘Heaven Sent’ starts to poke around with the mythology of the show in the form of confessions as the Doctor runs from the Veil and agonizingly slowly works his way through a wall of diamond. The fact that the Doctor left Gallifrey because he was scared puts him and his situation in an entirely new light, and the fact that the Time Lords knew the Time War and the Hybrid as an ultimate warrior were coming certainly sets the stage for a big finale. Hybrids have been mentioned many times this series, and the writing is on the wall to indicate that the Doctor will somehow be involved in this prophecy. The only negative aspect to this episode, and its through no fault of the writing or the episode itself, is that the ending was spoiled so blatantly by official press releases before the air date. It’s hard to say if knowing the Doctor ends up on Gallifrey beforehand ruins the ending, but it unquestioningly takes away from what would surely have been a monumentally emotional moment at the very least. The fact that this entire episode takes place within the confession dial is a great twist, but the emotional payoff with the Doctor’s search for Gallifrey over just isn’t there. Hopefully future generations watching the episodes in order at home won’t have the surprise spoiled and will be able to enjoy the Doctor’s triumph as fully intended. Still, the powerful performance from Capaldi paves the way for what will assuredly be an epic finale in ‘Hell Bent.’ The Doctor is still very angry and raw, and he’s now back where his wounds and emotions are at their most raw. There are still lingering questions about just who sent the Doctor to Gallifrey and into the confession dial, whether Clara is actually gone, and where Ashildr fits into the grand scheme of things, but ‘Heaven Sent’ is an unabashed success that proves that ambition and not playing by the rules can still yield a terrific payoff.